Best Mermaid Gift Ideas for Mermaid Lovers! Fun Mermaid Gifts for Mermaid Lovers! 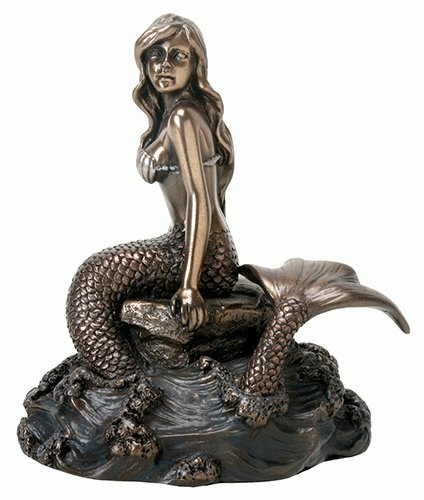 I am always looking for ‘mermaid stuff’ online and you won’t believe all the cool mermaid gift ideas I found today! I am beyond excited to show them all off here and help you find that perfect mermaid gift for someone special! *Of course we can’t talk about mermaids without immediately thinking about Ariel right? Here you are going to find everything mermaid! 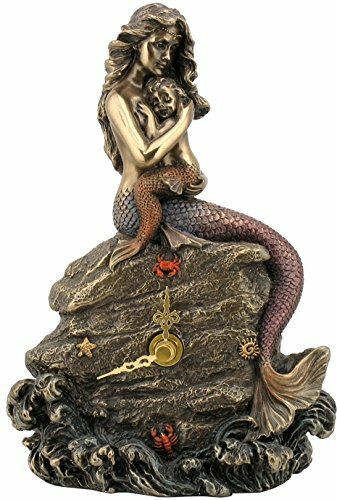 Mermaid figurines and statues, mermaid mirrors, mermaid lamps, bookends, mermaid jewelry, mermaid clocks and much more! Get your scuba diving gear ready and let’s look for some pretty mermaids deep down in the ocean, shall we? Always a great mermaid gift idea! 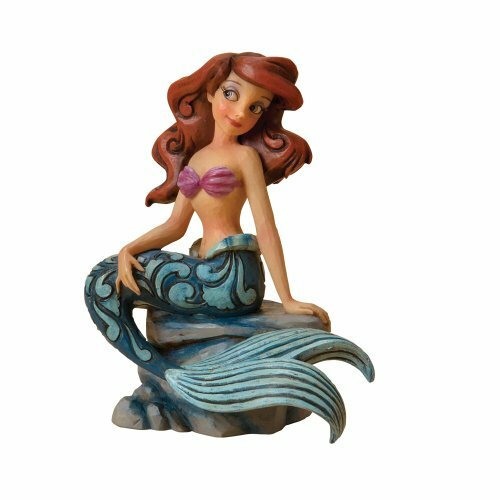 You can never go wrong by giving a mermaid lover a cute mermaid figurine, of course. It is the number one mermaid gift idea! How cute is this mermaid on a rock figurine? It has a very cool metal finish, even though it’s made of resin, believe it or not. 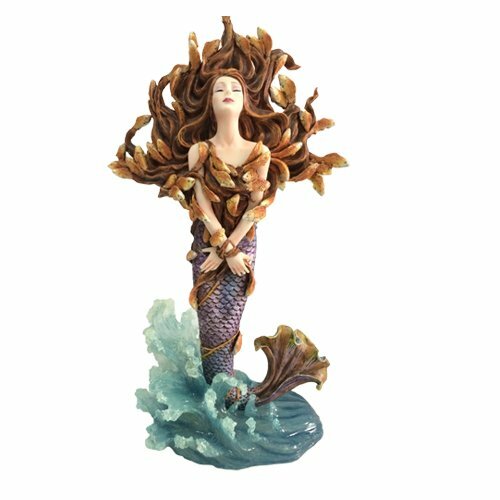 This is a stunning 12 inches tall colorful and very realistic mermaid swimming figurine! Look at her beautiful mermaid hair! This is truly a masterpiece, carefully hand-painted so this piece looks flawless! 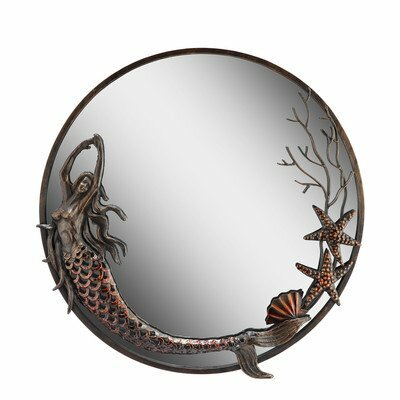 I bet you have never seen a mermaid mirror before! 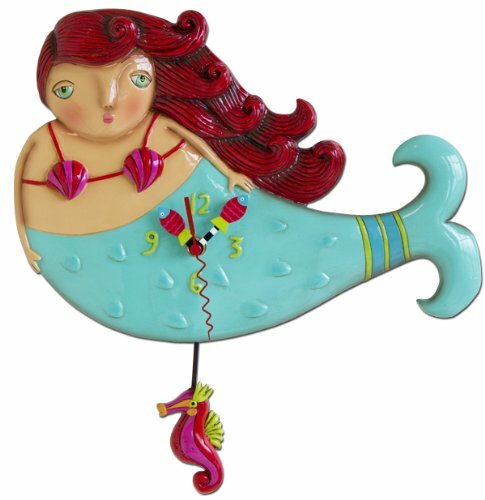 How about a cute mermaid wall clock? It’s a mermaid mom and her mermaid baby! *This clock is tiny though, at about 7.88 inches tall. 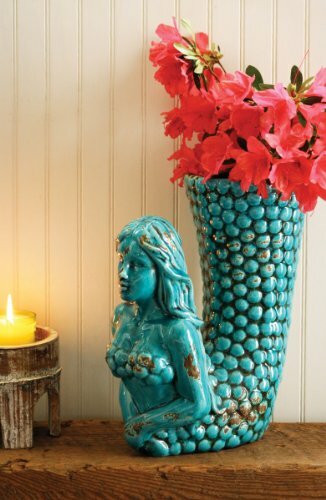 A very cool and very unique distressed turquoise ceramic mermaid vase for sale! How’s that for a nice mermaid gift to someone? 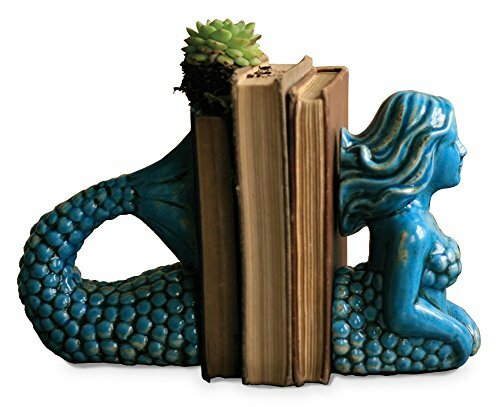 How about a turquoise blue ceramic mermaid bookends? Will look awesome beside the mermaid vase! Now you are in for a mermaid treat! 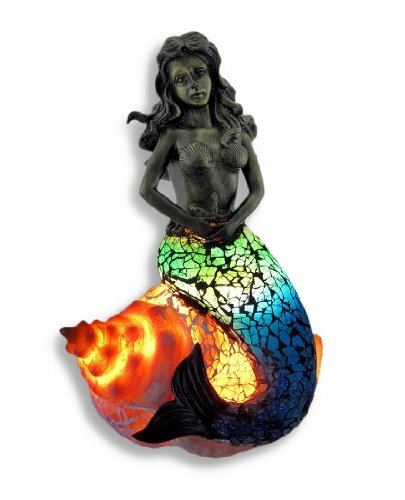 How absolutely mesmerizing is this mermaid sitting on a conch shell accent lamp? It definitely makes a beautiful mermaid gift idea to any mermaid lover! As you can see her tail and conch shell are made of crackle glass. The lamp is about 9 inches tall. 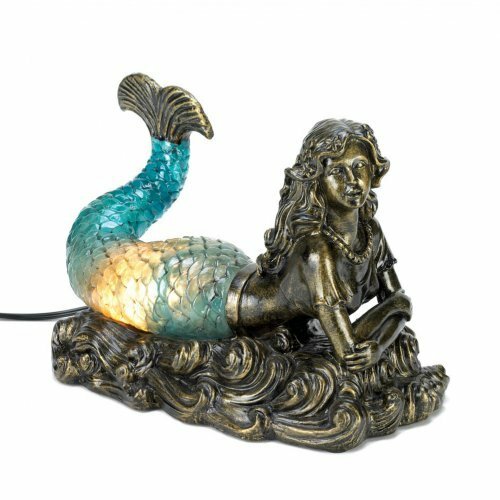 Another gorgeous mermaid lamp for sale! 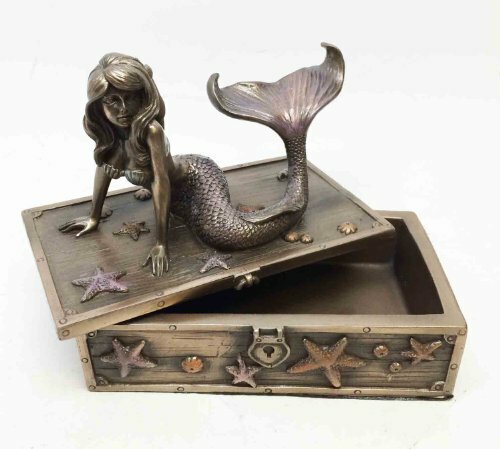 Another cute, fun and affordable mermaid gift idea is this adorable mermaid trinket box! I love her hair and her tail! I also love the cute starfish all over the box! 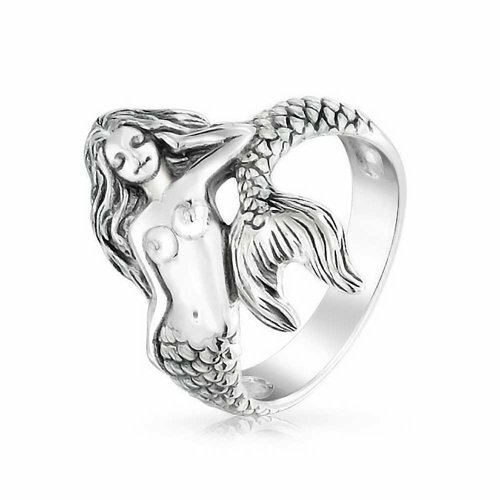 How about a Mermaid Ring? Fellow mermaid lovers, look what I just came across! I love it how her mermaid tail makes the circle! Stunning Blue Mermaid Pendant Necklace! If you were looking for some amazing mermaid gift ideas for women today, look no more! I guarantee she is going to LOVE this beautiful Betsey Johnson blue mermaid necklace! It is very large too and will totally stand out on her neck! 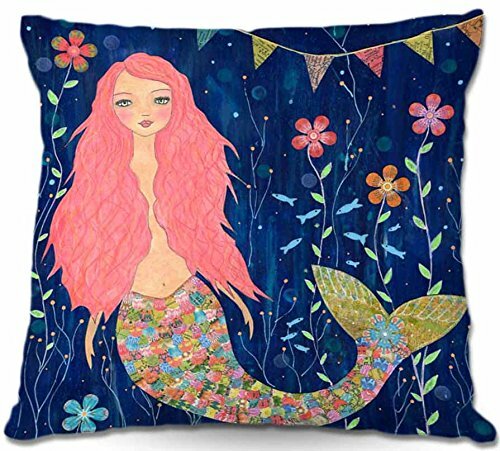 Another cute and adorable mermaid gift idea is a fun mermaid throw pillow, of course!